Today, I thought I’d share my favorite methods for promoting blog posts! Over the years, I’ve acquired quite a few tricks up my sleeve on how to get blog posts in front of the most readers. Sometimes I’m the one promoting and sometimes I have ways of encouraging others to share my content. Both are crucial in publicizing your blog and letting it live up to its fullest potential! From formatting the post to giving it touch-ups years later, it’s so important to pay attention to every detail of what you’re writing. Check out a few ways I make sure my posts are promotion-friendly and what methods I use to (successfully) promote them myself! 1. Format your title. Your title is the first presentation to the reader of what’s in your post, so make it count! When you’re trying to decide what title to use on posts, there are a few things to think about. My first thought is usually “what would I search for if I was trying to find the information in this blog post?” That question goes a long way in helping with SEO (more on that below). I also like to get a few keywords in the blog post title if possible. Remember though, you want your title to make sense…don’t just put a jumble of words that’s going to confuse the reader! Finally, title your posts with something that draws the reader in. Don’t give away all of your content in the title…instead, give the reader a “teaser” of what’s in the post, so they’re much more likely to actually click on (and possibly share) your full content. 2. Include links to old posts within new posts. This has been huge in helping to lower my bounce rate. As you talk about relevant ideas in your new content, don’t be afraid to link to older blog posts! This not only gives you more clicks on the site, but helps the reader go a little bit more in-depth into an idea you’re discussing without having to write a book about it on your current blog post. On a similar note, I also use and have really liked having the LinkWithin widget on the bottom of my posts. It shows the pictures and titles of a few similar posts at the end of each blog post. It’s free and has shown to keep a lot of readers on my site over the years! 3. Label posts. 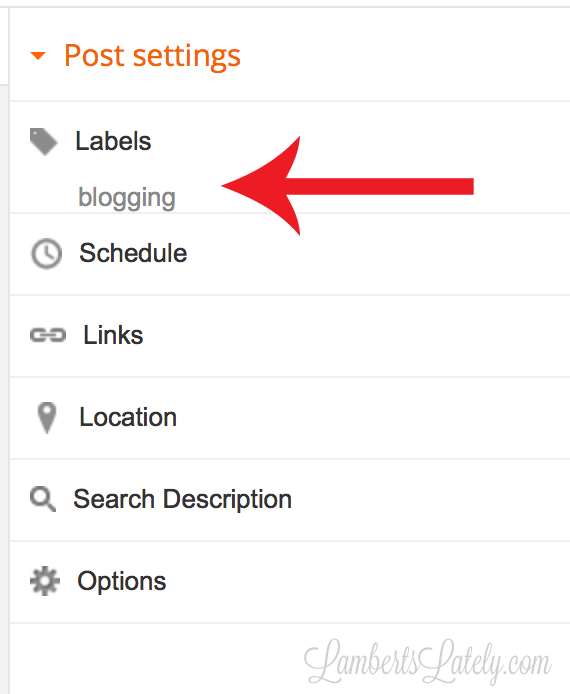 Labeling posts can help with so many things…bounce rate, SEO, your own personal blog organization. Most importantly, it helps the reader quickly find what they’re looking for on your site. Having a user-friendly site is huge, and labels go a long way in helping with that! I typically try to put as many relevant labels on a post as possible to make sure that post is included in several different categories that readers might like to see (but, make sure when you label a post, it’s relevant to that label…putting posts in irrelevant categories absolutely defeats the purpose of using the system). I can’t speak to other platforms, but Blogger makes it so simple to label posts. Just go to the “edit post” screen, click the word “labels” on the right side, and enter what you need! Blogger saves your previously-used labels so they’ll pop up as you’re typing…so, in this case, I typed “blog” and the label “blogging” came up. That way you don’t have ten different labels of similar structure floating around. Labels show under your posts on a Blogger platform with clickable links…if you click on any link, all of the posts that are labeled with that same word/phrase will show. And I highly recommend having a labels widget on your sidebar if you’re on Blogger (mine has changed a little since I wrote this, but pictured above is the standard one you can easily grab through Blogger without being a designer). That way, your readers can find all of the topics you discuss at once. To do that, go to your layout page, click “add a gadget,” and select labels. The version shown is the cloud format (instead of list, which takes up a ton of vertical room on your sidebar if you have a lot of labels, so I wouldn’t recommend it). You can pick and choose which labels you’d like to show in this list if needed! 4. Think about Search Engine Optimization (SEO). This is one I was a little hesitant to put in this list because sometimes being too SEO-mindful can damage the quality of a blog post. Many bloggers get too caught up in trying to get the best keywords in their post and forget about making quality content. Don’t do that. Instead, try to make sure you organically get a few relevant keywords in your post, especially towards the beginning of the content, and make sure your title is formatted in a way that allows search engines to easily recognize the content of the post. It’s also helpful to title your pictures with relevant keywords…so, for example, if you have a post with a recipe for chocolate cake, save the image for that post as chocolate_cake.jpg (when you’re editing it on your computer…it will save like that to your blog too) to help your SEO! And when I say Search Engine Optimization, I’m absolutely not just talking about actual search engines! Pinterest has proven to be a huge source of traffic for my blog, and most of that traffic comes from posts that rank highly in a few popular searches on that platform. (If you don’t believe me, go search “cleaning schedule” on Pinterest…that’s just one of several I have that rank really high in frequently searched topics.) When I’m creating a post that I’d like to perform well on Pinterest, I always head over there to find the keywords people are searching. To do that, type in the “main idea” (maybe a word or two) of your post in the search bar…once you do that, you’ll get a set of relevant topics right under the search bar that are related to your initial search. That’s a great way to see what extra content you can integrate into your post to make it successful in Pinterest searches! 5. Make sure there is a picture on every. single. post. And I mean it, don’t let a single post publish without a picture. Pictures are what captures the reader’s eye when browsing readers, Facebook, etc. for what they’d like to read. And Pinterest rules all right now…without a picture on your post there isn’t a chance for your readers to share your post (not to mention pictureless posts are just kind of boring). I talk a lot more about making highly-pinnable blog posts here! But I will add one thing…make sure the picture that captures your blog post the best is the first one in your post. That’s the post that shows in reader feeds and is the one that has to catch a reader’s eye. I’m not sure about other platforms, but on Blogger, you can’t choose which picture a reader features, so make sure the first one is the best! 6. Customize your post URL. This is something that’s so easy to do in Blogger or WordPress and can really improve your search engine rankings! Sometimes, instead of the standard url that blogger assigns to my posts (which is created based off of your post date and title), I like to include a few keywords in the url that give search engines an extra heads-up on what the post is about. For example, if I was talking about decorating my bedroom in neutral colors, but my blog post title was “Home Tour,” that title doesn’t tell the search engines a whole lot about the post. Instead, I can go in and include “bedroom” and “neutral” in the url to improve SEO. …go on and title your post at the top with the title you intend to use. 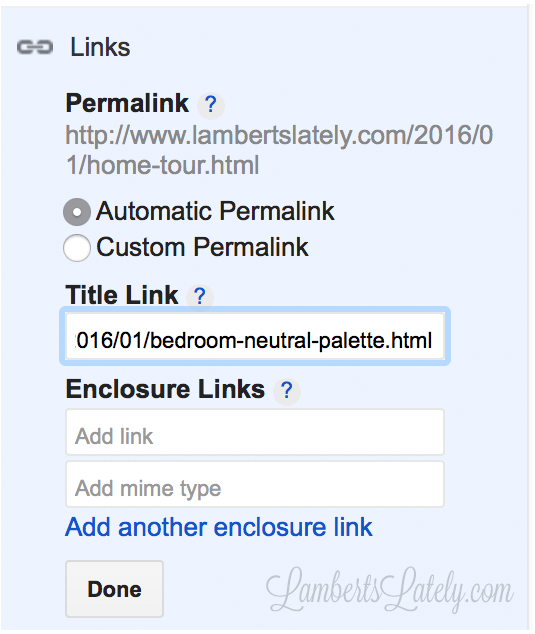 Your Blogger-created url will show once you click on “Links” on the right side of the edit post screen. Copy the permalink that is created. 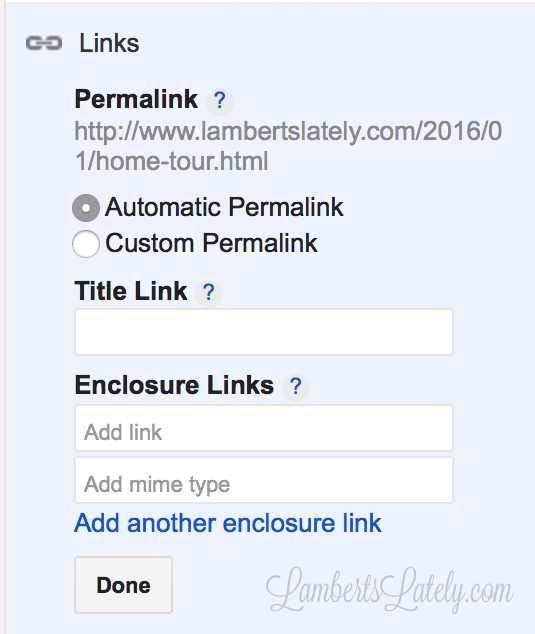 In the title link field, paste this permalink, click “Custom Permalink,” then delete everything that comes after the date part of the url (so, in this case, start deleting after the 2016/01/). Then, put in your keywords, separating them with a hyphen, and add .html to the end. Click done, and your SEO-friendly url should appear! You’ll want it formatted just like this on the Blogger platform to ensure proper date archiving…all you’re wanting to edit is the last part of the url. This is not something I do to every post…if your title is descriptive and has a few relevant keywords in it already, I wouldn’t bother. But if you’re trying to capture a certain search category and your title just isn’t cutting it, this can be a great trick. Another note: I wouldn’t do this to older posts. Your post has probably already been shared with a certain url, and changing it now would break that old url, causing readers to have trouble finding your post (and completely cancel out any social media shares you already have going). If you’re going to do it, do it before the post is published! …just click on “search description” on the right side of the “edit post” screen and put in a sentence about your post, including a few keywords that you think others might use to search for your post. Easy peasy! 8. Have a blog Facebook/Twitter page; share both new and old content. While the SEO of your content is important, social media shares have become just as big (if not bigger) of a source of traffic. I promote both new and old content (with an emphasis on the new content) on Facebook and Twitter daily. For new content, I usually share links to blog posts on both Facebook and Twitter twice…once right after the post launches and once anywhere from 8 hours to a day or two later. It might sound kind of cumbersome to remember all of these promotions, but it’s not a big deal, promise. I use Hootsuite to schedule my Facebook and Twitter promotions ahead of time so I don’t forget! As soon as I schedule a post, I go on and schedule these promotions in Hootsuite. -Sign up for an account here and link your social media accounts. Then, go to the paper airplane icon on the side…that’s your Publisher section. Hover over the “Compose Message,” type your post/tweet, and add links (I prefer to shrink them with their shortener…that allows for you to view how your link did in the Hootsuite analytics section, found by clicking the graph icon right below the Publisher section). I like to include a teaser of the post and a picture in my social media promotions. I also like to mention somewhere in the share that the post is new content…many readers are more likely to click on the link if they know it’s content they’ve never seen before. You can add a picture to the post by clicking the paperclip icon seen above. Click the social media accounts on the left that you want to use for this message (I currently just use Hootsuite for Facebook and Twitter scheduling). Then, click the calendar icon to schedule your post and click “send now”…that’s it! Hootsuite is so no-fuss and free if you’re just using it for an occasional Facebook/Twitter post! For old content, I usually pick 3-4 posts per week to promote on social media. I do the same post at the same time on Facebook and Twitter (Hootsuite allows you to schedule to both at the same time very easily). Again, feature a picture and, if you have enough characters for Twitter, promote a link to both the post and a pin for that post, so readers can save it for later easily. And it goes without saying…share at times when people are more likely to be on social media! My “prime time” on Facebook and Twitter is about 9am-9pm (if you’ll go under insights when looking at your Facebook fan page, you should be able to look at this too…but I’d be willing to bet most people have the same prime times). I try to do a post sometime in the morning, sometime mid-afternoon, and sometime around 8pm on most days. 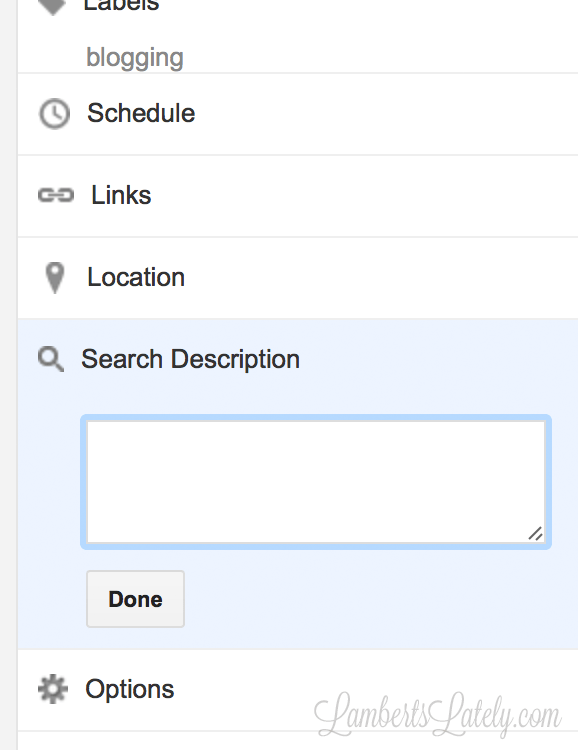 That’s another advantage of using a scheduler…you can spread out your content and share at popular times! 9. Promote your social media accounts within your blog. I’m sure most bloggers out there know to promote their own posts on social media. Facebook, Twitter, and Pinterest are my big three. But, how do your readers know where to find you on social media if you don’t tell them? Having links to your social media accounts within your blog posts and on your site is crucial. I have three links to my social media accounts on every (desktop) page view…under the title, on the sticky nav bar that always shows at the top of the screen, and in my signature. I like to put one in my signature so readers that don’t always click over from their favorite reader platform still have a way to find me. If I ever discuss my social media within a post, I always link to those accounts as well (as a matter of fact, I did it earlier in this post…see if you can spot it!). 10. Pin your own content (but not just your own content). Just like with Facebook and Twitter, it is so important to share your content on Pinterest. If you don’t toot your own horn, who will? I like to pin both new and old content to both my own boards and several group boards I belong to. Group boards are a big stinking deal on Pinterest right now. These boards have multiple pinners that often reach a huge audience with their content. I am a member of lots of different group boards, ranging from recipe boards to holiday boards and even a few blogging boards. This allows me to get my content out to followers that might not already follow me. …that means they are the member of a group board. Click on the board to see how you can join…most of the time there are instructions at the top of the page on how to do it. I’ve amassed quite a collection of group boards doing this! 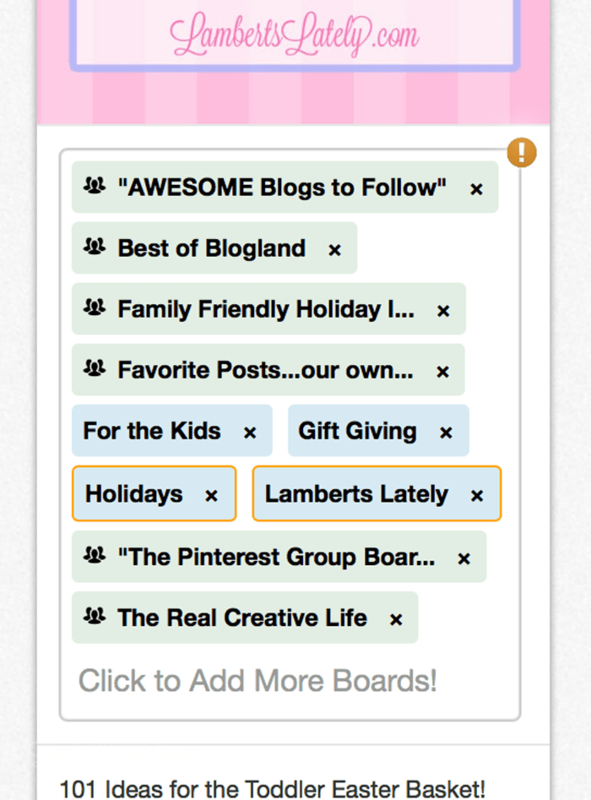 This is also a great resource for finding group boards…it’s even sorted by the category you need. Like I mentioned, it’s important to pin both new and old content. Definitely don’t get spammy, but maybe every few days for a couple of weeks, promote your post! Once my post is initially published, I like to pin it daily for a couple of weeks to make sure the majority of my followers get some exposure to it. I also usually pick 3-4 older posts per week to promote on Pinterest (usually the same ones I promote on Facebook and Twitter). I use Tailwind to schedule posts so that my pins are spaced out, but I’m not tied to my computer all day. –Sign up for a Tailwind account (It’s free and doesn’t require a credit card to register for a trial. Plus, you will get $30 of Tailwind credit if you sign up through this link to use if you do decide to upgrade later!) The site will walk you thorough the basic steps of using Tailwind and ask if you want to download the Tailwind Publisher extension for your browser…download and install that. -Go to your post, hover over the image you’d like to pin, and press the “Schedule” button that comes up at the bottom left of your image. -This page will pop up. Click the box that says “Type a Board Name” and you should see all of your boards, both group and individual. Select the ones you’d like to pin this to (you can pick more than one board at a time). The group boards will show up green, the individual boards blue, and the private boards purple. You can also change what is said in each pin right under this (though it will grab your automated Pin descriptions, like I talk about in this post, if you’ve already chosen them). These are all of the boards I chose for this particular post! -Next, set when you want the pinning to start and how often you want your pin to post. I usually do either once a day or once every two days for this. I typically set the time for the first one sometime in the evening…but, one of the cool things about Tailwind is that it looks at your account’s “prime times” for pinning and customizes times for each pin for you. How awesome is that? You’ll see a preview of when each pin will post once you set the interval. -Select schedule at the bottom, and you’re done! You can go back in to your Tailwind account (shown below) and see when each pin is posting each day. You can reorder or reschedule if necessary at this point. I’ve tried other Pinterest schedulers (including the very popular Board Booster), but for some reason I just can’t get on board with anything else…this is the simplest way I’ve been able to wrap my mind around. Tailwind has a free plan that offers up to 100 pins to try it out and see if it’s for you. I’m on the a $120/year ($15 if paid monthly) plan that allows for unlimited pins and an awesome collection of analytics for your Pinterest account (including increase in followers and repins from your domain). Plus, you can easily schedule pins directly on Pinterest if you find something you love but don’t want to post it just yet. I’m telling you…this is an incredible resource if you schedule your pins! Click here for a free trial. ALL OF THAT TO SAY…don’t just pin your own pins! Followers will quickly get tired of seeing just your posts on your Pinterest feed. I like to hop on Pinterest a few times a week and browse for great ideas from other bloggers to pin. If you find lots at once, simply schedule them to post later via Tailwind. If you’ve downloaded the Tailwind browser extension like I outlined above, a blue button with the Tailwind logo will show up once you hover over your pins on the Pinterest site. Just click that and follow the basic steps above, changing the time you’d like it to pin as needed by clicking on the clock. So easy! Pinning others’ content is also a chance to work with other bloggers of similar size to promote each others’ content. Partnering with another comparable blogger doubles your presence and gives you something to pin that isn’t from your site! And that is all I have to say about Pinterest in this post, pinky promise. 🙂 It’s just such a huge source of traffic for me, and there are so many tips and tricks to making the most of it! I seriously think I could write a book at this point. 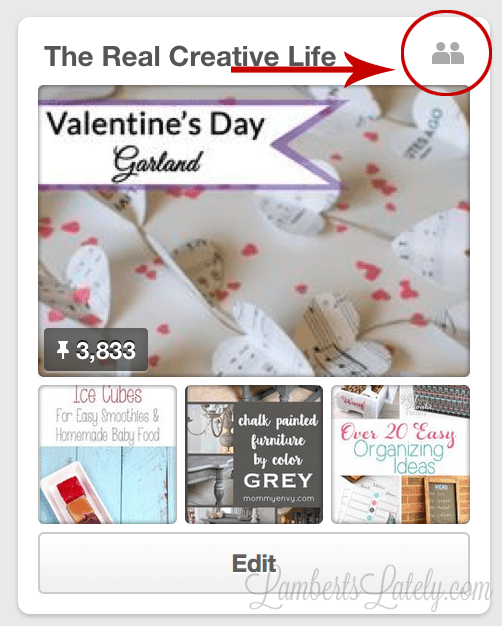 Again, you can see a few more ideas for how I utilize Pinterest from this older post! 11. Make it easy to find posts on your site. Don’t make your readers work to find your content…you’ll quickly learn that most will leave before they find what they need. Give readers several different methods to finding what they’re searching for. You’ll notice I have a few linked labels in the nav bar that appears at the top of my blog. Those are my most popular categories…that allows readers to quickly find the most searched items on this blog. I also recommend having an archive section, a labels section (as discussed above), and a search bar on your sidebar. 12. Schedule your posts. There are tried-and-true times that your posts will get lots more exposure. 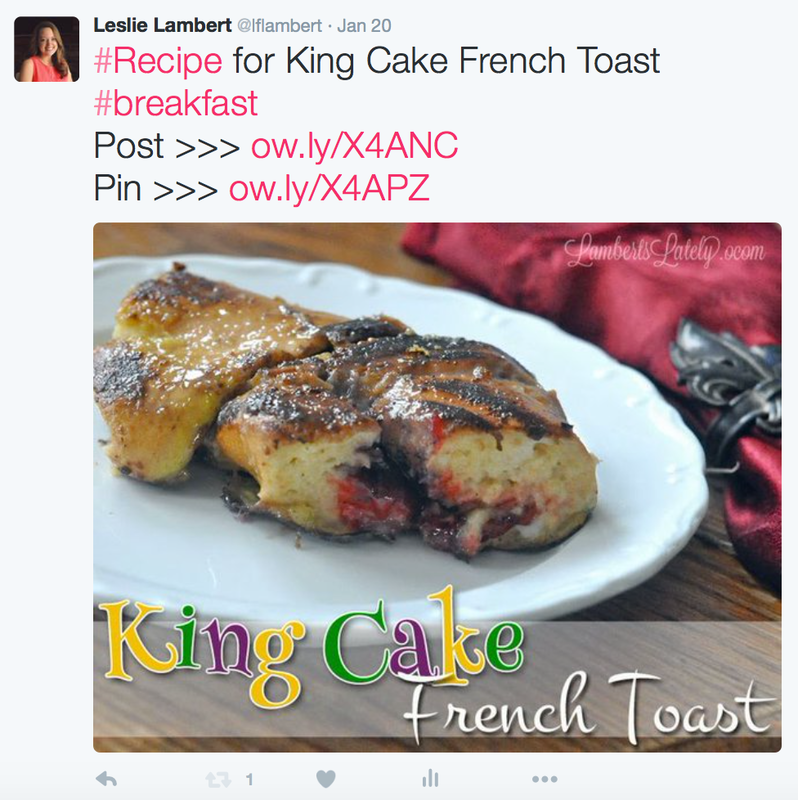 Ever notice how most blog posts go live in the mornings on weekdays? That’s because posts that are fresh in a reader at that time tend to get a lot more traffic (and shares). So, barring a scheduling conflict (which can happen sometimes with sponsored posts) or my Create It Thursday posts (more on that in a second), I try to schedule my posts to go live sometime around 8am on weekday mornings. Weekend posts usually just don’t have the traction that weekday posts do…most people are out and about and not worried about catching up on their reader on Saturday and Sunday. And, while sometimes I’m running behind and don’t get a post out until afternoon/evening, I always try to have posts ready ahead of time to launch early the next morning. So many readers just kind of have it in their morning routine to go through their reader (think about reading the morning paper…it’s similar to that), so you’re much more likely to catch a reader’s attention with a post that launches before 10am. 13. Make it easy for others to share. I highly recommend having a few different methods of social sharing that are easy for your readers to promote your posts. Yes, you are the front line in promoting your content, but your readers are a close second! Hover over the graphic above and you’ll see one of the most effective social share features on the blog…my Pinterest hover button. This allows readers to pin from my site and isn’t too intrusive in the reader’s experience on my site. Highly, highly recommend this one if you’re just getting started in social share integration on your blog. You can find out more info about installing one of these here. 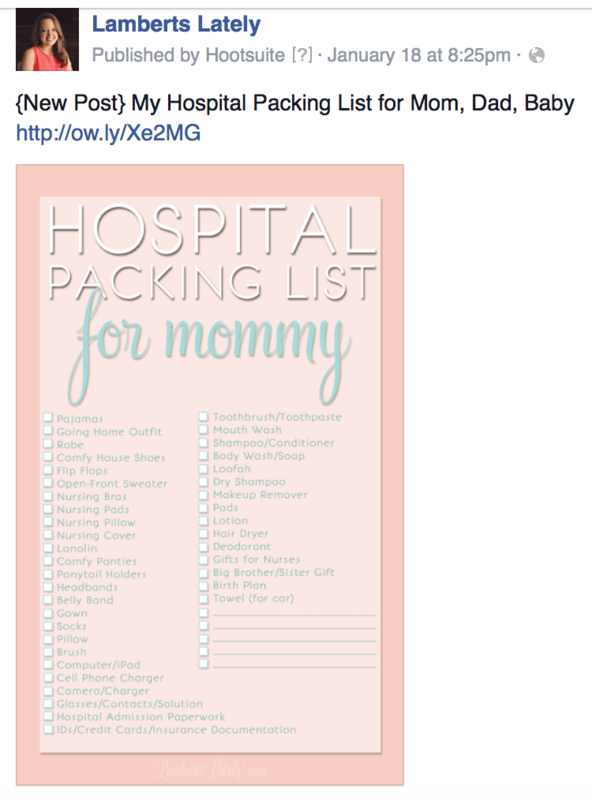 Another incredibly effective social share method is the good ol’ fashioned Pinterest “Pin It” button. If I have a post I think would be popular on Pinterest, I choose 1-2 images from that post and stick one of these underneath. You don’t want to over-use these (they can become redundant and annoying, and really take away from your content if used too much), but they are great to integrate sparingly. You can even choose what you want readers to say about your pin, and bonus…there’s a counter next to the button that tells you how many times your content has been repinned! You can build these here. I also encourage having something like my share bar at the end of your post. I made mine through the Add This feature, and just built my own buttons to match my site (lots of trial and error, I assure you). But their basic share feature has buttons included if you’re not especially code/graphic-savvy. You don’t want share buttons to be over-cluttered…I keep mine to these four because it’s rare my content is shared on any other platforms. But you can tailor your share bar to your own site through Add This with just about every social media share option you can imagine! I recommend going through your blog hits to see where your traffic is coming from…add the buttons that help your readers share your content from those sites. 14. Use link-ups. Link parties are absolutely crucial in helping me spread the word about my new content. These are blog posts (like my Create It Thursday series) that allow other bloggers to share a few of their posts with that blog’s readers. It is a major jumping-off point for so many of my posts. Many blog readers on those posts are looking for creative new ideas…here’s your chance to share your ideas and potentially get some exposure on social media, too! I especially recommend these for new bloggers that are looking to build their readership, but they really are great for anyone. Link parties typically go live either around 7-9am in the morning or between 5-8pm at night. Usually, parties go live the night before their day (so, for example, my Create It Thursday goes live on Wednesday nights at 7pm…that’s pretty typical in the link party world). You want to link up to a party as soon after it’s launch as possible…the earlier you link up, the higher in the results you’ll be (and the more traffic you’ll get). So, I make it part of my morning routine to link up to parties that launch in the morning. I also try to check my list right at 6pm, 7pm, and 8pm and link up, then right before I go to bed (sometimes I’ll miss a few). Most link parties have a few rules, and those rules typically have a limit on the amount of posts you can share at once. I mostly see a limit of 3 posts per party, so I try to wait until I have 3 quality new posts to do link parties (because visiting all of those link parties can be time-consuming). This way, I’m not constantly doing link parties each night…usually it’s just something I do once a month or so. If I only have two posts and know it’s going to be a little bit before I have another one, I’ll sometimes pick an older seasonal post that hasn’t ever been promoted to add in to my link-ups. I promote the same posts for a one-week stretch to make sure I hit all of the parties. You’ll also become members of email lists as you start using link parties (most link-ups require you leave your email address, and you’re typically added to a reminder email when you do that)…that helps me remember when link parties launch too. 15. Build partnerships. Finding other bloggers with similar topics and readership levels is so important to promoting your content. Partnering with a similar blogger can be huge in building your reader base. Other blog readers are looking for content that is similar to what they already enjoy…make it easy for them by hooking up with a similar blogger. Not only are you helping out your readers, but you’re exposing yourself to a whole new reader base! I also highly encourage building long-term partnerships with brands you love. That might mean getting a sponsored post, knocking it out of the park, and continuing to promote that post long after your campaign is over (even if you’re not necessarily getting paid for those promotions). Brands notice this, trust me. I also frequently promote brands that I love without a direct sponsorship. That might mean mentioning a product I love in a blog post (with or without an affiliate link) or tagging a brand I love on social media when they have a product I’m discussing. That’s a fabulous way to get your foot in the door with a brand when you’d like to form a long-term partnership! Finally, don’t forget building partnerships with ad agencies. I have several ad agencies I use for sponsored content and ads on my blog/social media (I really need to do an updated post on those, but this is one I did from a few years ago that explained the process of partnering with these companies). My best advice for working with an ad agency is to make their job easy. Fill out applications for sponsored content thoroughly and honestly, submit post drafts and social media shares on time, read contracts with a fine-tooth comb to make sure you’re fulfilling your end of the deal, and communicate openly and thoroughly with your campaign managers. These managers take notice when you’re an easy blogger to work with and are so much more likely to notice you when you apply for your next campaign. It might not seem like building partnerships with agencies and brands can boost your hit count, but I assure you, they can! Agencies and brands often promote your content on their (high-reaching) social media. This is just another way of building channels that will (in the long-run) get your name out there. 16. Join blogging Facebook groups. This is something I’ve just recently started doing myself, but let me tell you…there are some great blogging Facebook groups out there that have enhanced my abilities so much. Many of these groups have ways set up to promote other members’ content. You can share relevant posts on certain threads within the groups and have other bloggers promote your content (while you’re promoting their content too, of course). But don’t join these groups just to self-promote! Can you imagine how annoying they would be if there was nothing but self-promotion? Just do it if it is allowed on certain threads. Groups are primarily a great way to learn more about blogging and troubleshoot with other bloggers. I’ve learned so much from reading through various blogging groups on Facebook. To find these, just search “blogging” or “bloggers” on Facebook, and select groups from the search results…easy as that! You’ll also get page suggestions as you join these to help you find even more great groups. 17. Use submission sites. There are many sites out there that allow readers to submit their content for promotion. Basically, you fill out a form on that site with your link/pictures and the site decides whether or not your content is high-quality enough to feature. If they do feature it, you get a ton of free advertising that can have long-term effects on traffic to that post. I have personally used Foodgawker in the past. They can be pretty picky about what content they feature, but if you have a great recipe idea with beautiful photography, they feature your recipe on their site and can drive a lot of traffic. There are several other recipe sites I’ve used, but this list of submission sites is so much more thorough than anything I could write…check it out! 18. Comment on other blogs. I feel like this is one of the oldest blog post promotion tricks in the book, but it’s worth mentioning on this list. If you read another blog, comment on their post…simple as that! Many blogs now offer a link-back feature on their comments now that allows you to put in a link to your most recent post in your comment. And, going back to building partnerships, this is a great way to start having other bloggers notice you in the blogosphere. I’ve made many blog friends and partners by simply giving feedback or encouragement on a blog post. 19. Monitor old posts. Most bloggers don’t even think about the fact that old blog posts have to occasionally be updated and perfected after they’re launched. I often have to fix older, broken links in my old posts to make sure the content remains high-quality…old, outdated information and broken links can quickly kill traffic to that post. Go through your most visited posts occasionally and read it from the perspective of the blog reader…click on links, take in the content, and fix anything that is amiss or inaccurate. This is also a great time to integrate some of the methods mentioned above that you might not have done the first go-round! 20. Use ads if needed. There is absolutely nothing wrong with using an occasional social media ad. I’ve used Facebook ads and Pinterest promoted pins in the past to get the word out about some of my posts, especially if I need the word to get out about them quickly. For the price you pay (usually anywhere from a few cents to a few dollars a day on either platform), it’s an incredibly effective method of sharing your post. This isn’t something I would do for every single post (mostly because of cost, partly because you don’t want to completely pay for what can grow from organic sharing anyway), but if you know you have a good chance of that post going viral on a social media platform, a great way to start that growth is through an ad! 21. Build your email list. This is also something I’m just now getting into (even though I should have done it years ago). I’ve just put it off for so long, but I finally bit the bullet and started an email newsletter for my blog…and I’m so glad I did now! Sending out a weekly/monthly newsletter for your blog is a great way to grow a more personal relationship with your readers while promoting your content at the same time. I would especially recommend doing this if you have a product that you sell in conjunction with your blog, like an ebook or a class. This is one of the most effective ways to promote your products that are blog-related. Even though I am new to it, I have a few very effective methods I’ve used to grow the list so far. Readers typically like an incentive for joining an email list, especially new readers that might not be familiar with your blog. I have many printables available on this blog, and it finally occurred to me one day…why not offer some of my more popular printables as a exclusively to my email subscribers? It’s a best of both worlds situation…I get to continue to offer these printables for free (driving lots of traffic to my site), but I now have a way to gain some of those one-time Pinterest visitors as long-term readers. Giving readers my more popular printables as an incentive for joining the list has been incredibly effective in building my email numbers. I’m currently seeing anywhere from 30-75 new subscribers a day by doing this. I also have a sign-up on my sidebar and one that appears at the end of my newer posts. No excuse for a reader not seeing a sign-up opportunity on the blog. (And, in case you were wondering, I use Convertkit to collect emails and send newsletters. There are many different companies out there for this, just google or search Pinterest for “blog newsletter” to get the very extensive run-down on those. For now, I’m happy with the company and plan to continue using them!). If you’d like to subscribe to my email newsletter to kind of see what I’m talking about, click here! I really had no idea I had so much to say about promoting blog content until I sat down to write it all out! But, if you’re looking to vastly build readership and get your name out there, these are methods you really must use. Content isn’t going to promote itself (most of the time)! 🙂 Remember, you are your best advocate and cheerleader, so make sure you’re the one on the front lines of promoting your content, using the power of readers and partners to enhance that promotion. Then, let the resources available out there help you help yourself! Interested in monetizing your blog? Check out my new series – I’m sharing everything I’ve learned in 7 years of making money from my blog! Thank you. This list is so straight forward and easy to read. I’ve only been blogging for 6 months and need all the help I can get. Thanks! I’m not sure how to apply all this to my blog (I don’t for example have products to offer to people who sign up for email list) but I will ponder everything. These are awesome tips. Also, it is good to put keywords below pictures. I really appreciate your detailed helps. I truly enjoy my blog, but it’s time to “step it up”! Hi that was really helpful! I just started my inspire-her blog. I can try using some of your tips! Thanks girl! I’ve only just started my blog and this has been super helpful. Thank you! Thank you for this straightforward to-the-point information. I started a blog just over a couple months and these tips are a great help. Again, Thank you! Thank you so much for sharing this. I am new to blogger and didn’t realize that there was that search description option or that I could change the URLs of my posts before I publish them. This post has helped me so much!